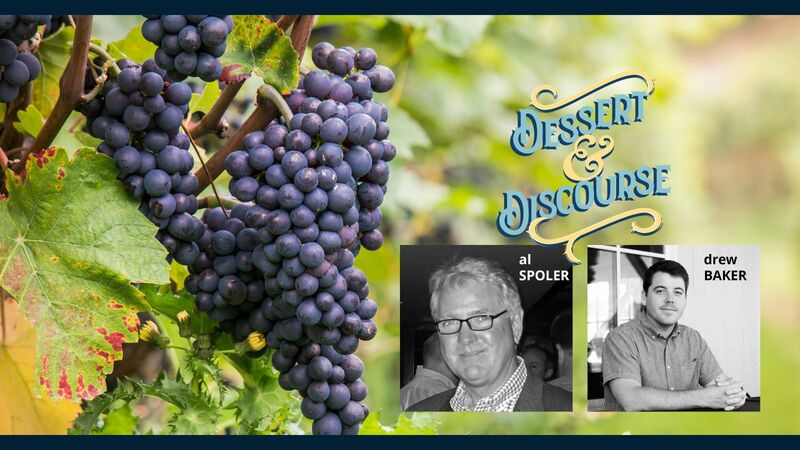 Our August Dessert and Discourse will feature Al Spoler of WYPR and Drew Baker of Old Westminster Winery in conversation about the Maryland wine industry. Dessert and Discourse is a series featuring insights from thought leaders exploring initiatives playing a role in the new economy as we prepare for Exploration Commons at 50 East, a 14,000 sf Makerspace, Culinary Literacy Center, and Collaborative Work and Meeting Space coming to the lower level of the Westminster Branch. The series is presented by JeannieBird Baking Company and Carroll County Public Library. Al Spoler, well known to WYPR listeners as the wine-loving co-host of "Cellar Notes" has had a long-standing parallel interest in cooking as well. Al has said, the moment he started getting serious about Sunday night dinners was the same moment he started getting serious about wine. Over the years, he has benefited greatly from being a member of the Cork and Fork Society of Baltimore, a gentlemen's dining club that serves black tie meals cooked by the members themselves who are some of Baltimore's most accomplished amateur cooks. At age 22, Drew planted the first 7,600 grape vines on his family’s farm. His dream was to grow great American Wines in Maryland. Today, he pours his energy and passion into forging a new image for Maryland wine. Each year he travels the world studying his craft and honing his skills. Drew believes the rolling hills of Maryland offer just the right mix of elevation, sun, breeze, and rocky soils to grow grapes fit for remarkable wines.